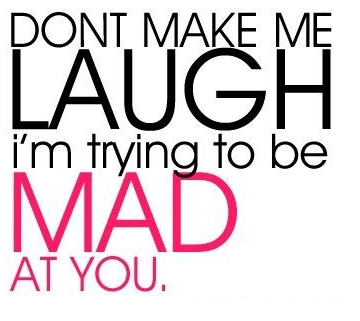 Laughter really is the best medicine, especially when you are upset and angry with another individual. This great share from Amy Robin on Pinterest (via Krista Guynes) is a great example of how many people may feel when a little laughter is changing their mood. Do you ever feel this way?